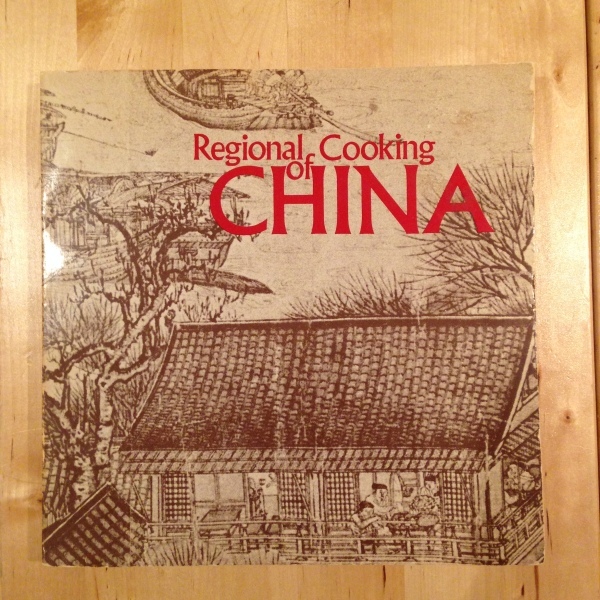 I found this used cookbook for $2 at the farmer's market in London, ON. 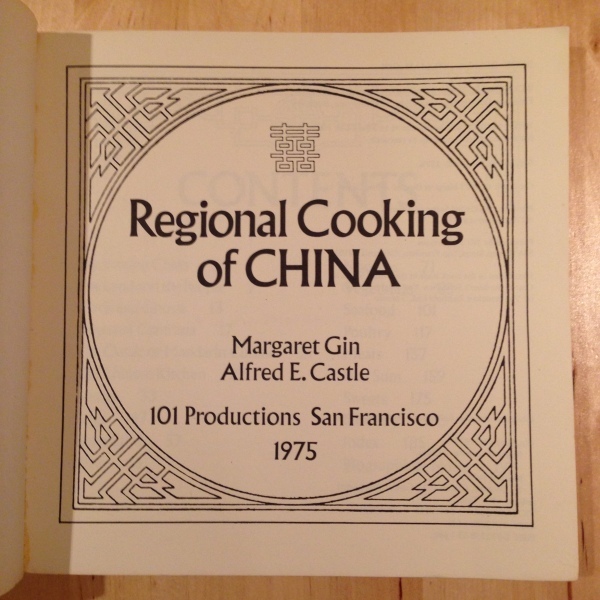 Printed in San Francisco in 1975. 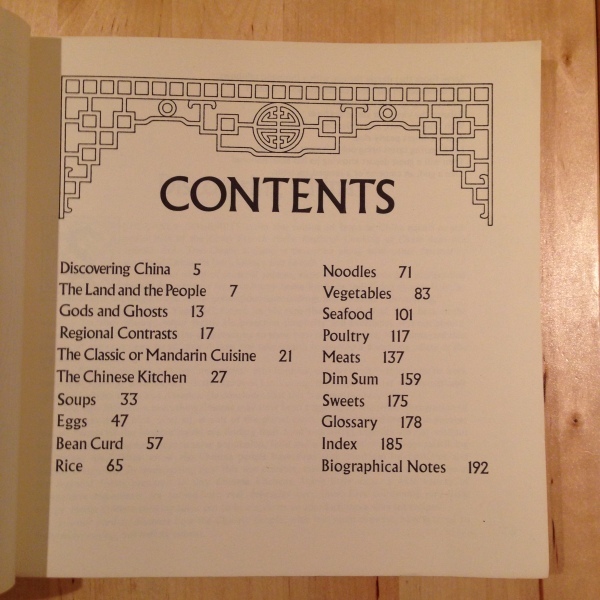 It's got a little bit of history and a high level description of the cities & regions. 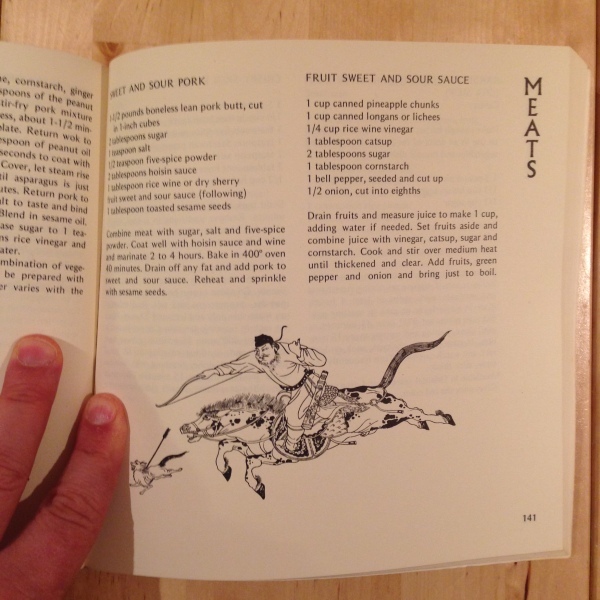 Here's the always classic sweet & sour pork, where the sweet is mainly from fruit. There are woodcut prints like this decorating the whole book.